Certification programs are a vital way of recognizing knowledge, skills and professional expertise, but, during a time of digital transformation, how do you build a program that is sustainable and adaptable to the evolving needs of your organization, stakeholders and the market? Questionmark Founder and Executive Director, John Kleeman and Sue Martin, certification expert and Business Transformation Consultant will present the upcoming webinar “Building a Certification Program in 10 easy steps” at 4pm (GMT) / 11am Eastern / 5pm CET on 12 February 2019. However, before then, we wanted to find out a little bit more about what they’ll be covering during the session, so we’ve interviewed the two experts to gain insight! Sue: During the webinar, we’ll be covering a range of things; from the conceptual steps of building a certification program to the many projects that have evolved from these and the importance of outlining key steps from the very beginning of the process for creating a comprehensive and cohesive certification program. We will also talk about the value certification program, can add to an organization, not only in the short-haul but also for many years to come. It is important to remember, “why” and “what” you are trying to achieve, and this webinar will provide detail on how the alignment of strategic goals and communication with stakeholders contributes to the success of an adaptable certification program. What influenced the selection of these 10-steps you have identified in building a certification program? 3. Scope: This is very important; setting the scope is a priority. Of course, in the greater scheme of things; you’ll have a mission statement, which provides you with a strategic vision, but when it comes to the finer detail and knowing what countries to enter, the pricing structure or knowing whether to offer remote proctoring; always keep in mind three things: the value contribution, the stakeholders and ask yourselves “yes, but why?”; as this will help align with organizational objectives. What can attendees take away from the webinar you’ll present? Sue: Those attending will learn the value and importance of planning and questioning everything from the start of the process. We’ll share advice on the importance of having a value statement for every part of the process and making sure you know that a certification program is what you are looking for. By attending you can walk away with knowing the operational and strategic steps you must go through in order to build a program that is sustainable; think of it as a checklist! John: If you’re starting a new certification program, I think this webinar will help guide you and help you create it more easily and more effectively. And if you already have a certification program and want to improve it, you’ll probably be doing a lot of what we suggest already but I hope they’ll be something for everyone to take away and learn. If you’re interested in learning more about the steps to building a certification program that meets the needs of your organization and stakeholders; then join John and Sue deliver a webinar session dedicated to “Building a Certification Program in 10 easy steps” on 12 February 2019 at 4pm (GMT) / 11am Eastern / 5pm CET. John Kleeman is Executive Director and Founder of Questionmark. 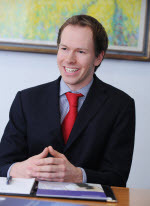 He has a first-class degree from Trinity College, Cambridge, and is a Chartered Engineer and a Certified Information Privacy Professional/Europe (CIPP/E). 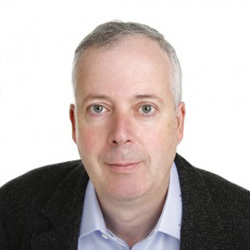 John wrote the first version of the Questionmark assessment software system and then founded Questionmark in 1988 to market, develop and support it. John has been heavily involved in assessment software for 30 years and has also participated in several standards initiatives including IMS QTI, ISO 23988 and ISO 10667. John was recently elected to the Association of Test Publishers (ATP) Board of Directors. Sue Martin is a trusted advisor to companies and institutions across Europe in the area of workforce credentialing, learning strategies and certification. Her career prior to consulting included a role as Senior Global Certification Director for SAP and several regional and global management roles in the testing industry. 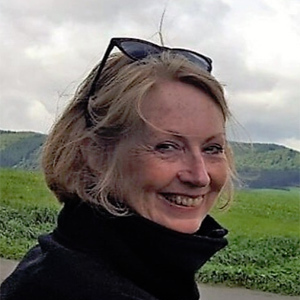 She has also held several positions within industry institutions, such as the Chair of the European Association of Test Publishers and is currently a member of the Learning & Development Committee at BCS (British Computer Society). Why do most of the world’s banks, pharmaceutical companies, utilities and other large companies use online assessments to test the competence of their employees? It’s primarily because compliance fines round the world are high and assessments reduce the risk of regulatory compliance failures. Assessments also give protection to the organization in the event of an individual mis-step by proving that the organization had checked the individual’s knowledge of the rules prior to the mistake. Other regulators focus more on companies ensuring that their workforce is competent, rather than specifying how companies ensure it, but most welcome clear evidence that personnel have been trained and have shown understanding of the training. Many compliance errors happen because managers pay lip service to following the rules but indicate in their behavior they don’t mean it. If you assess all employees and managers regularly, and require additional training or sanctions for failing tests, it sends a clear message to your workforce that knowledge and observance of the rules is genuinely required. 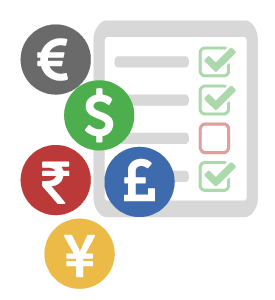 Some regulators also take commitment to compliance by the organization into account when setting the level of fines, and may reduce fines if there is serious evidence of compliance activities, which assessments can be a useful part of. For example the German Federal Court recently ruled that fines should be less if there is evidence of effective compliance management. Online assessments are one of the few ways in which a compliance team can touch all employees in an organization. You can see results by team, department, location or individual and identify who understands what and focus in on weak areas to look at improving. There is no better way to reach all employees. Many regulators require training to be documented. Giving someone an assessment after training doesn’t just confirm he or she attended the course but confirms they understood the training. Can you remember everything you learned? Of course, none of us can! There is good evidence that quizzes and tests increase retention and reduce forgetting. This is partly because people study for tests and so remind themselves of the knowledge they learned, which helps retain it. And it is partly because retrieving information in a quiz or test makes it easier to retrieve the same information in future, and so more likely to be able to apply in practice when needed. Many organizations permit employees to “test out” of compliance training. People can take a test and if they demonstrate good enough knowledge, they don’t need to attend the training. This concentrates training resources and employee time on areas that are needed, and avoids demoralizing employees with boring compliance training repeating what they already know. Many compliance failures arise from human error. Root cause analysis of human error suggests that a good proportion of errors are caused by people not understanding training, training being missing or people not following procedures. Assessments can pick up and prevent mistakes caused by people not understanding what they should do or how to follow procedures, and so reduce the risk of error. 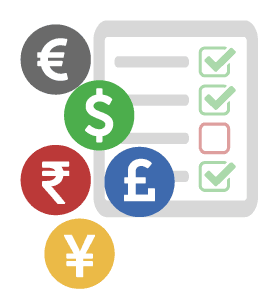 If you are interested in learning more about the reasons online assessments mitigate compliance risk, Questionmark are giving a webinar “Seven Ways Assessments Fortify Compliance” on April 11th. To register for this or our other free webinars, go to www.questionmark.com/questionmark_webinars. Wow, just wow! 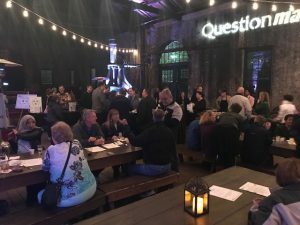 The 2018 Questionmark User’s Conference inspired all that are new to Questionmark and those that have been long time customers. Being able to share experiences and use case scenarios was exhilarating. 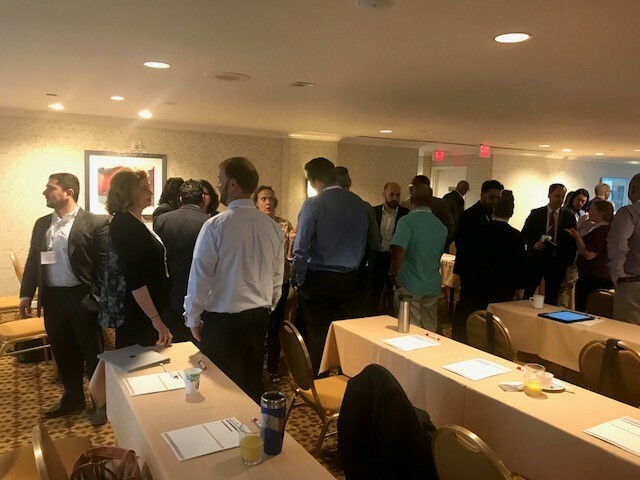 The three day learning experience was a deep dive into learning, fun, and networking – the enthusiasm was truly contagious. From the opening general session where new features and functions were released to the trolley ride over to the railroad museum where guests were greeted with amazing local food and music, this year’s conference was without a doubt the preeminent complete user’s group experience! 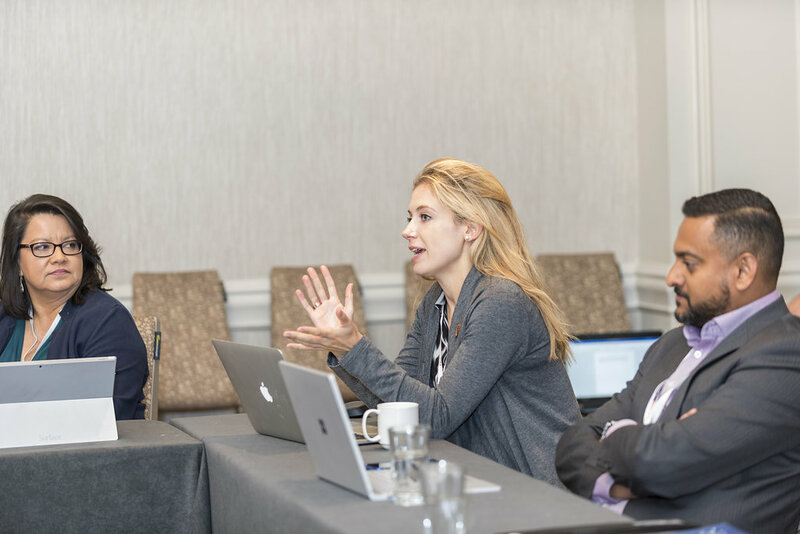 Amazing customer presenters were on hand to deliver testimonials to their peers on best practices and lessons learned to truly maximize the power of their assessments. We greatly appreciated case studies presented by our valuable customers from Progressive Insurance, American Institute of Certified Public Accountants, Southwest Gas, Intuitive Surgical, Rio Salado College and Caterpillar. 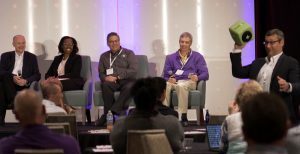 A lively panel discussion focused on transformation and growth and how assessments are integral to all organizations in order to succeed in those areas. Panel participants included Andrew Dominguez of Southwest Gas, Tricia Allen of Polycom, Bernt Nilsen of Norsk Test and Dave “Lefty” Lefkowith of Louisiana Department of Education. Their invaluable insights into creating high performing teams through assessments was an “aha moment” for many and we are truly grateful for their participation. 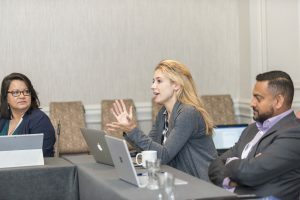 Engaging sessions that delved into best practices of using assessment to identify knowledge gaps, improve performance and make informed and defensible decisions were widespread. Questionmark Founder and Executive Director, John Kleeman, presented a session based on a recent white paper, “Assessing for Situational Judgment”. 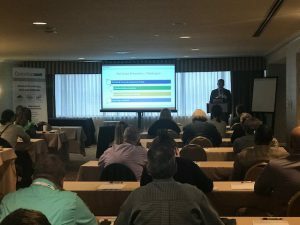 Another well attended session detailed extending your assessment management capabilities with Questionmark apps and left attendees excited to get back to the office and implement. Evenings provided many opportunities for networking, fine dining and fun. Small group “dine-arounds” — a long-time, popular tradition at our annual conference — gave us all a great chance to take in the sights as we strolled through beautiful, historic Savannah. Delegates and staff attending our Thursday evening reception, hosted at the Georgia State Railroad Museum, enjoyed delicious food, great music and networking. Save the date for Questionmark Conference 2019 us in San Diego at the Hard Rock Hotel, February 26 – March 1, 2019 for even more learning, networking and fun! Watch the conference recap below!! Anyone working with personal data, particularly in the European Union, will know that we are now just six months from “GDPR day” (as I have taken to calling it). On 25-May-2018, the EU General Data Protection Regulation (“GDPR”) will become applicable, ushering in a new privacy/data protection era with greater emphasis than ever on the rights of individuals when their personal data is used or stored by businesses and other organizations. In this blog post, I provide some general reminders about what the GDPR is and give some insight into Questionmark’s compliance preparations. The GDPR replaces the current EU Data Protection Directive, which has been around for more than 20 years. To keep pace with technology advances and achieve greater uniformity on data protection, the EU began work on the GDPR over 5 years ago and finalized the text in April 2016. There then followed a period for regulators and other industry bodies to provide guidance on what the GDPR actually requires, to help organizations in their compliance efforts. Like all businesses that process EU personal data, whether based within the U.S., the EU or elsewhere, Questionmark has been busy in the months since the GDPR was finalized to ensure that our practices and policies align with GDPR expectations. One of the most talked-about provisions of the GDPR is Article 35, which deals with data protection impact assessments, or “DPIAs.” Basically, there is a requirement that organizations acting as data controllers of personal data (meaning that they determine the purpose and means of the processing of that data) complete a prior assessment of the impacts of processing that data if the processing is likely to result in a high risk to the rights and freedoms of data subjects. Organizations will need to make a judgment call regarding whether a high risk exists to require that a DPIA be completed. There are scenarios in which a DPIA will definitely be required, such as when data controllers process special categories of personal data like racial origin and health information, and in other cases some organizations may decide it’s safer to complete a DPIA even if not absolutely necessary to comply with the GDPR. The GDPR expects that data processors will help data controllers with DPIAs. Questionmark has therefore prepared an example draft DPIA template that may be used for completing an assessment of data processing within Questionmark OnDemand. The draft DPIA template is available for download now. Important disclaimer: This blog is provided for general information and interest purposes only, is non-exhaustive and does not constitute legal advice. As such, the contents of this blog should not be relied on for any particular purpose and you should seek the advice of their own legal counsel in considering GDPR requirements.